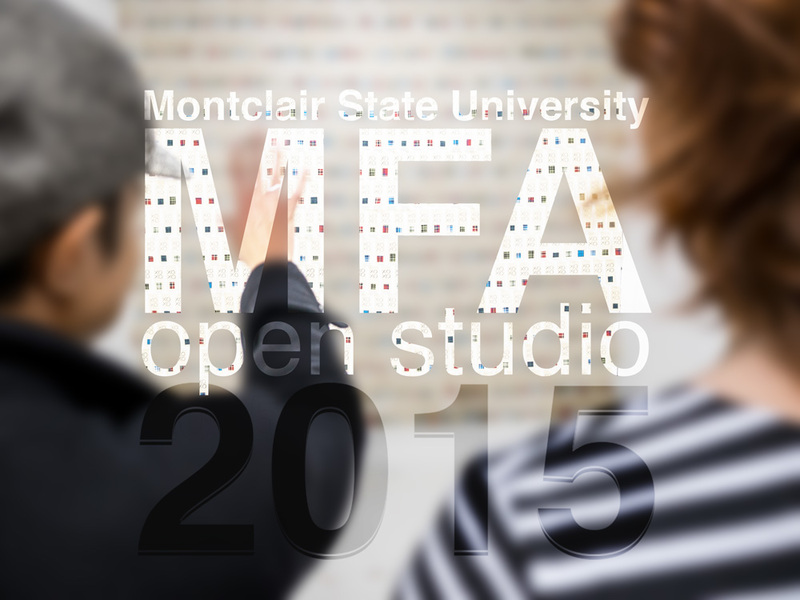 The Master of Fine Arts (MFA) in Studio Art program at Montclair State University is holding its annual Open Studio Night on November 20, from 6 to 10pm in Finley Hall on the University campus. Open to the general public, the event will feature events, completed works and works in progress created by the program’s 17 MFA candidates, on display in their open studios. Also featured will be an exhibition of works in the MFA Gallery, as well as discussions and dialogue with the students regarding their growth in the program and as emerging artists. Afsane Barati, Ruth Borgenicht, Natalia Borisenko, Joseph Caraval, Tracy Ditolla, Maryann Ficker, Brooke Garlick, Meagan Green, Anthony Lawler, Mei Mei, Chris Rivas, Belmira Silva, Kasia Skorynkiewicz, Hei Ching Yam, John Spano, Stephanie Spitz, Mina Zarfasz. The Open Studio celebrates the Master of Fine Arts program’s 15th year in existence. Since its inauguration, the program has invited an exceptional group of artists, curators and visiting critics to campus, including Ann Hamilton, Mark Dion, Robert Whitman, Revd. Billy, Nick Cave, Shirin Neshat, Eleanor Heartney, William Powhida, Wafaa Bilal, Ben Davis, Arthur C. Danto, James Rosenquist, Philip Pearlstein, William Wegman and Dana Schutz to lecture and work with students. The Montclair State University MFA in Studio Art is a rigorous two-year interdisciplinary program designed to offer artists a critical, conceptual and visual framework to experiment and develop their practice. Offering a wide array of comprehensive and individualized training in art theory, history, criticism and practice, the program provides students with vital skills to pursue their artistic vision and work across a range of mediums. Throughout the program, students are immersed in a dynamic environment of creative dialogue with leading faculty and one-on-one mentoring with visiting artists and critics. Located in New Jersey, Montclair State University provides the ideal combination of a suburban campus environment with the advantages of New York City—giving talented and ambitious students unparalleled access to excellent academic programs. The MFA in Studio Art resides in the University’s College of the Arts, which also includes more than 50 undergraduate and graduate programs in art and design, communication and media, theatre, dance and music. The MFA in Studio Art program is accepting applications from interested students for spring 2016 and fall 2016.